In Christ Church Cathedral, Dublin, on Monday evening at 7.30 pm the third in a series of films on social justice will be screened. “Persepolis”, a 2007 film based on Marjane Satrapi’s graphic novel about her life in Iran, will be introduced by Canon Patrick Comerford, a former foreign desk editor in The Irish Times. For this introduction on 13 February 2015, follow this link: Persepolis in Christ Church Cathedral. Where are we going with Liturgy today? Understanding new demands and possibilities in liturgy and the use of liturgy. Asking these questions involves questions about a theology of the whole people of God; asking questions about the role of liturgy in the contemporary life and mission of the Church; and asking questions we must ask about worship and inculturation. The Church universal, the Church Catholic, finds its particular expression, is made present and signified, in particular Churches. As the 39 Articles remind us as Anglicans, the Church is visible in “a congregation of faithful men” (i.e., faithful people gathered together in the diocese), “in which the pure Word of God is preached, and the Sacraments be duly administered ...” (Article 19). We have talked over this course about Liturgy as the place where Christians meet God in Christ. The first significant measure of inculturation at the Reformation was the translation of the Bible, liturgies and liturgical books into the languages of the people. In English, to talk about being saved by the “skin of my teeth” is inexplicable without a glimpse of the Book of Job in the Authorised Version. Phrases like “read, mark, learn and inwardly digest” from The Book of Common Prayer have passed into common parlance. Other Collects have even given names to particular days, such as “Stir-Up Sunday” in the weeks before Advent. On my visits to China with the Dublin University Far Eastern Mission, I became conscious of how the differences between the “Protestant” and “Catholic” traditions, in their various forms, is exaggerated for non-Christian Chinese when they see that Catholics and Protestants cannot agree on a common translation of the Bible, or even on the same word for God, so that they are seen by many as two completely different religions. The Church of South India created a new Eucharistic rite, drawing on elements of Anglican, Orthodox, Indian and Mozarabic Liturgies, and in turn that Liturgy of the Church of South India has influenced the liturgies of Anglican Churches throughout the world. The Anglican Church in New Zealand and, nearer to home, the (Anglican) Church in Wales, have lived liturgically for some decades acknowledging and giving liturgical expression to the cultural realities, differences and diversities in their dioceses, and these are differences and diversities that go beyond the language barriers. How can we transcend barriers through liturgy? On the other hand, at what point does diversity sacrifice or even lose unity? I have taken part in many of the “Discovery” liturgies in Saint George’s and Saint Thomas’s Church in Inner City Dublin – described as Anglican liturgies with African – and sometimes Indian – flavours. Some years ago, I was also invited to preside at what was called a “U2Charist” in the same church. For example, the story is told that it had been observed that in some African traditions before people dined at an important meal they poured out a libation to the ancestors. Drawing on this observation, it was suggested that it would be appropriate to pour a libation of the consecrated wine before the Eucharistic meal. But this is a total misunderstanding of the centrality of the Paschal Mystery, reducing Christ’s presence in the Eucharist to mere drink. It also raises questions about why people think the dead need material nourishment. (Revd Canon Professor) Patrick Comerford is Lecturer in Anglicanism, Liturgy, and Church History, the Church of Ireland Theological Institute,. This essay is based on notes prepared for a lecture on 13 February 2016 as part of the Readers’ Course Day Conference Programme. The Modern Church, including the missionary and ecumenical movements, the growth of Third World (liberation/black) theologies and the new voice of women in the Church. ● Two World Wars that pitted nominally Christian nations against each other. ● The Holocaust, and Christian responses to anti-Semitism. ● The emergence of the charismatic movement within the churches and in separate denominations. ● The unfolding of the ecumenical movement.
. ● The expansion of mission work throughout the world and the spread of Christianity in non-Western regions. ● New Bible translations: in English this included the NRSV, the NEB and the NIV, in French the Jerusalem Bible; in other languages, the Bible was translated into the languages of 95% of humanity. ● The accelerating secularisation of Western society, which began in the 19th century. ● The rise of Communism, Fascism and Nazism in Europe. ● The role of the Church in challenging racism in North America and South Africa. ● The development of Liberation Theology, especially in Latin America. ● Hearing the voice of women in the Church, through the ordination of women and the development of feminist theology and women’s reading of the Bible. World War I (1914-1918) began 100 years ago as a war between what were seen as Christian monarchies. The war shattered the belief that humanity was evolving towards a socially better society. 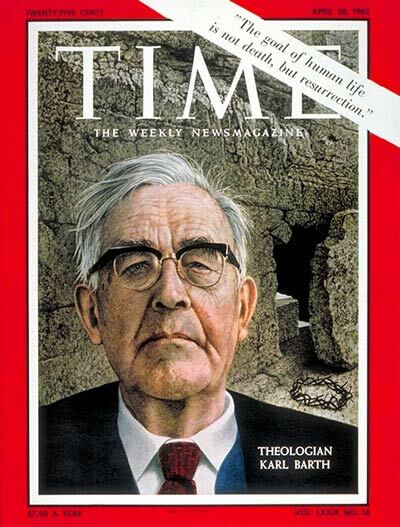 As the war came to a close, the challenges it posed to faith and our theological thinking were taken up by many theologians, most noticeably the Swiss Reformed theologian, Karl Barth (1886-1968), who published his Commentary on Romans in 1918. Neo-orthodoxy is often used as a label to describe the theology of crisis or dialectical theology that developed in Europe in the aftermath of World War I in reaction to 19th century liberal theology and as a re-evaluation of the teachings of the Reformation. Although Barth was uneasy with the term, it is primarily associated with Barth, Emil Brunner (1899–1966), Paul Tillich (1886-1965), Reinhold Niebuhr (1892-1971) and others who drew on the approaches of earlier theologians such as Søren Kierkegaard. 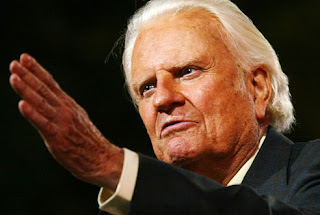 Billy Graham, rose to prominence is the 1940s … what do we mean by ‘fundamentalism’? The Pentecostal revival movement at the beginning of the 20th century began out of a passion for a greater outpouring of the Holy Spirit. In 1902, two American evangelists, Reuben Archer Torrey and Charles M. Alexander, conducted meetings in Australia, resulting in more than 8,000 conversions. Torrey and Alexander were involved in the beginnings of the great Welsh revival (1904). News of this revival travelled fast, and in 1906, the modern Pentecostal Movement was born at Azusa Street in Los Angeles in 1906. From there, Pentecostalism spread around the world. ● The historical reality of Christ’s miracles. How we use the term ‘fundamentalism’ in later generations often reflected where we stood ourselves. What is the difference between conservative evangelicalism and fundamentalism? Where do you place Billy Graham or Jerry Falwell? What about evangelicals on the social left, such as Jim Wallis and Sojourners? Initially, the Russian Revolution appeared to bring hope to the Russian Orthodox Church. From the 18th century, the Russian Church had been run by the Most Holy Synod, which was made up of bishops and lay bureaucrats appointed by the tsar. With the Russian Civil War, an independent Patriarchate of Moscow was re-established briefly in 1917. But after the October Revolution, there was no place for the Church in Lenin’s classless society. In the first five years after the Bolshevik revolution, 28 bishops and 1,200 priests were executed. Among the martyrs revered in the Russian Church is the Grand Duchess Elizabeth Fyodorovna who was a nun. In the decades that followed, many of the bishops and priests were jailed or killed, churches were confiscated or demolished, leading Church thinkers went into exile, and atheism was promoted by the state, although most forms of organised religions were never outlawed. As a consequence, the Church was transformed into a persecuted and martyred Church. During the Mexican Revolution between 1926 and 1934, over 3,000 priests were exiled or assassinated. In the Spanish Civil War (1936-1939), the Roman Catholic Church came close to being identified with Franco’s anti-democratic putsch, and in 1937, in Divini Redemptoris, Pius XI identified Communism as the main adversary of the Roman Catholic Church, blaming Western powers and media for a conspiracy of silence on the persecutions carried out by Communist, Socialist and Fascist forces. The relationship between Nazism and Protestantism, especially the German Lutheran Church, was complex. Though the majority of Protestant Church leaders in Germany supported the Nazis and their anti-Jewish activities, some such were strongly opposed to the Nazis. As early as 1934, the Barmen Declaration issued by the Confessing Church opposed the Nazi-supported “German Christians” and their anti-Semitism and extreme nationalism. More specifically, the Barmen Declaration rejects the subordination of the Church to the state and the subordination of the Word and Spirit to the Church. Karl Barth, who was the principal author the Barmen Declaration, later returned to Switzerland as an exile. 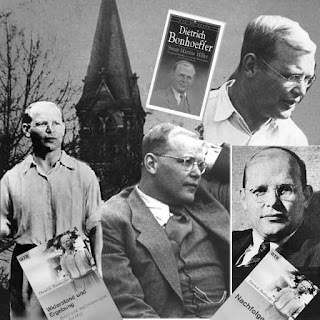 Perhaps the best-known opponent of Nazism to continue living in German was the Lutheran pastor and theologian as Dietrich Bonhoeffer (1906-1945), author of The Cost of Discipleship and Letters and Papers from Prison. 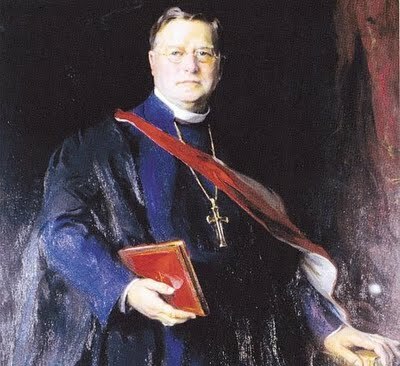 In the encyclical, Mit brennender Sorge, Pope Pius XI warned Roman Catholics that anti-semitism is incompatible with Christianity. The encyclical, which was read from the pulpits of all German Catholic churches on Passion Sunday, 14 March 1937, included a veiled attack on Hitler, criticised the elevation of one race above others, condemned pantheistic confusion, neo-paganism, “the so-called myth of race and blood,” and statolatry. 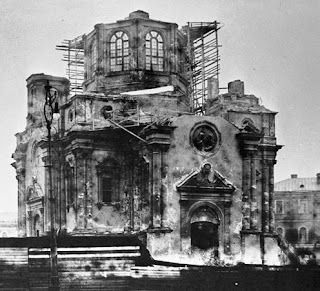 During World War II (1939-1945), the Nazi persecution of Jews and of the Church extended through the Netherlands and Poland across many parts of Europe. In Poland, the Nazis murdered over 2,500 monks and priests, and many more were sent to concentration camps. In Dachau alone, the Priester-Block or priests’ barracks held 2,600 Roman Catholic priests. Bonhoeffer was later found guilty in the conspiracy to assassinate Hitler and was executed in 1945. Many Roman Catholic lay people and clergy helped to shelter Jews during the Holocaust. But after World War II, many historians accused the Church of encouraging centuries of anti-Semitism, and accused Pope Pius XII of not doing enough to stop Nazi atrocities, although others contested these criticisms and spoke highly of Pope Pius’s efforts to protect Jews. The Nobel prize-winning writer Elie Wiesel raised major questions for both Jews and Christians that challenged post-Holocaust thinking. In many ways, this challenge was taken up by theologians such as Jürgen Moltmann. The conscience of Christians responded to post-war sufferings in Europe in ways such as the formation of aid agencies like Oxfam, founded by Oxford academics and Quakers, and Christian Aid. Later in the 1960s, similar responses to famine and poverty in Africa would give birth to agencies such as Concern in Ireland and Cafod in England. Decolonisation in Africa and Asia saw the emergence of Autonomous churches in the former colonies. The post-war Church also saw new approaches to Biblical studies, stimulated in part by the discovery of the Dead Sea Scrolls in 1947, and the unfolding of the modern ecumenical movement. In many European countries, the welfare state is a response to the war-time and post-war demands of the Churches, articulated in Britain particularly by Archbishop William Temple and in Continental Europe to the demands of the Churches and of both Christian Democrat and Social Democrat politicians. 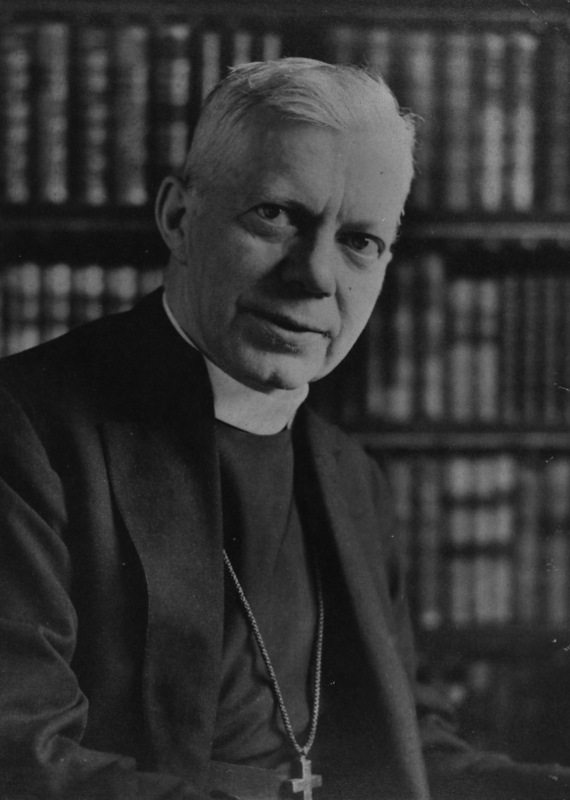 The Edinburgh conference gave rise to a number of movements that came together when the second conference of the Life and Work Movement in Oxford, and the second World Conference on Faith and Order in Edinburgh, both in 1937, approved the proposal for a World Council of Churches. This ecumenical ideal faded with World War II, but the hopes for a World Council of Churches were kept alive by theologians such as Dietrich Bonhoeffer in Germany and Bishop George Bell in England. The World Council of Churches was formed in 1948. At the same time, united and uniting churches were being formed in Canada (1925), South India (1947), and later in North India, Pakistan and Bangladesh (1970), and Australia (1977). Ecumenism also found expression in the monastic movements, with the formation of the Taizé Community by a Swiss Reformed pastor, Brother Roger Schütz, in 1944, and later with increased co-operation between monastic traditions such as the Benedictines and Franciscans. The Dogma of the Assumption of the Virgin Mary was proclaimed in 1950, and half way through the 20th century it may have appeared that the Roman Catholic Church was going to continue in a conservative mode, remaining isolated from the other Christian traditions and the developments in the ecumenical movement. 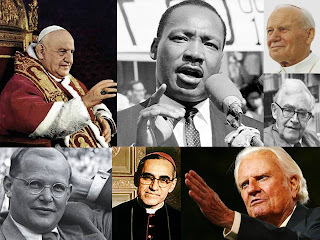 However, the Second Vatican Council (1962-1965) accelerated the pace of the ecumenical movement. 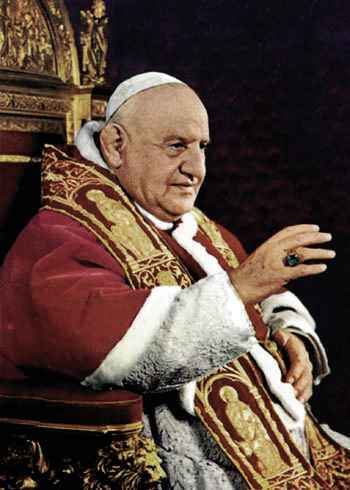 Vatican II was called by Pope John XXIII with the task of making the historical teachings of the Church clear to a modern world. Its debates and documents discussed the nature of the Church, the mission of the laity, religious freedom and liturgical revisions most noticeable in the introduction of local languages. Vatican II reaffirmed papal primacy and infallibility, but it also developed a conciliar view of the Church. This collegiality holds that bishops are not to be seen as “vicars of the Roman Pontiff,” but in their local churches they are “vicars and legates of Christ,” and together they form a body, a “college,” whose head is the Pope. Vatican II also made Christian unity a priority for Roman Catholics. In addition to finding common ground with Protestants, the Roman Catholic Church became open to reunion with the Eastern Orthodox Church. 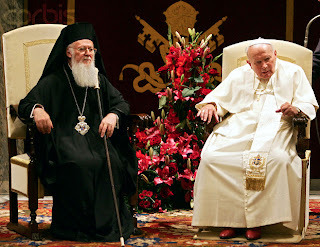 In 1965, Pope Paul VI and Patriarch Athenagoras issued a joint expression of regret for the events that had led to the Great Schism and lifted the mutual excommunications dating from the 11th century. Pope Paul VI also met Archbishop Michael Ramsey in the Vatican, and since then there have been meetings between every Pope and every Archbishop of Canterbury. Vatican II also gave a new stimulus to the Liturgical Movement, which had been developing among Roman Catholics, Anglicans and Protestants. But for some Roman Catholics, Vatican II went either too far or not far enough. Hans Küng and Charles Curran had their authorisation to teach theology on behalf of the Church withdrawn, while others clung tenaciously to the old Tridentine Mass and rites, taking hope in 2007, when Pope Benedict XVI reinstated the old Mass as an option. The election of Pope Francis I, who was born in Argentina, was a reminder that Latin America historically was predominantly Roman Catholic. In the 1960s, growing social awareness and politicization in the Latin American Church gave birth to liberation theology. 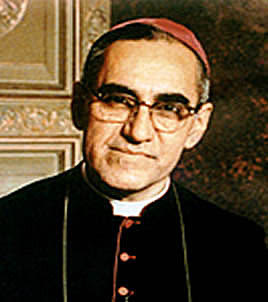 Peruvian priest Gustavo Gutiérrez became its primary proponent,[ and in 1979 the bishops’ conference in Mexico officially declared the Latin American Church’s “preferential option for the poor.” Archbishop Óscar Romero became Latin America’s most famous contemporary martyr when he was murdered in San Salvador by government troops on 24 March 1980 while saying Mass. Both Pope John Paul II and Pope Benedict XVI (as Cardinal Josef Ratzinger) denounced Liberation Theology. The Brazilian theologian Leonardo Boff was twice ordered to cease publishing and teaching. While Pope John Paul II was criticised for his severity in dealing with proponents of the movement, he maintained that the Church, in its efforts to champion the poor, should not do so by resorting to violence or partisan politics. The movement is still alive in Latin America, although the Roman Catholic Church there now faces the challenge of Pentecostal revival in much of the region. In recent decades, Latin America has also experienced a large Pentecostal revival and growth. For example, Brazil, which is Latin America’s largest country, is the largest Roman Catholic country in the world but is also the largest Evangelical country in the world. Pope Pius XI issued Quadragesimo Anno in 1931, 40 years after Pope Leo XIII’s Rerum Novarum. Leo XIII addressed the conditions of the working class in industrial society, while Pius XI concentrated on the ethical implications of the social and economic order. He called for the reconstruction of the social order, but warned against both unrestrained capitalism and totalitarian communism. The social teachings of Pope Pius XII repeated these teachings and applied them in greater detail not only to workers and owners of capital. Going beyond Pius XI, he also defined social teachings in the areas of medicine, psychology, sport, television, science, law and education. The Church faced new challenging issues with the sexual revolution of the 1960s. Pope Paul VI’s encyclical Humanae Vitae (1968) reaffirmed traditional Roman Catholic teachings on marriage, marital relations and contraception, affirming the sanctity of life from conception to natural death and condemning abortion and euthanasia. 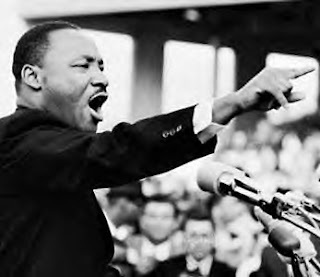 That same year, the Revd Dr Martin Luther King, Jr. was assassinated (1968), just as the civil rights movement was coming to a climax in the US, where the churches, and especially the black churches, helped to empower the movement for black voting rights and black civil rights. It took more than another two decades to end apartheid in South Africa, where the leading figures in the struggle against racism included church leaders such as Archbishop Desmond Tutu, Allan Boesak, John de Gruchy and Beyers Naudé. 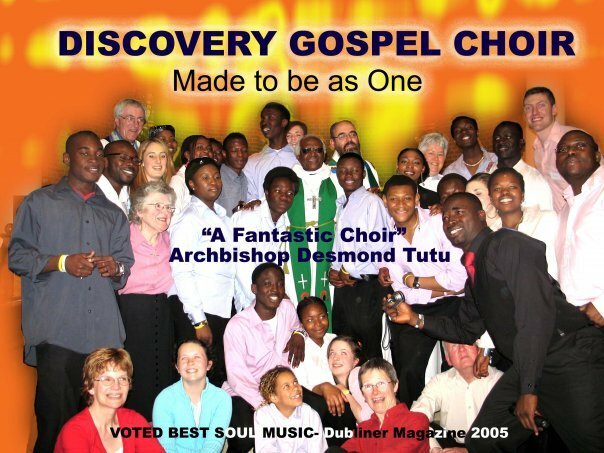 Drawing on the principles first expressed in the Barmen Declaration, many South African theologians proclaimed apartheid a “confessing” issue for the Church and declared apartheid is a heresy. By 1957, about 22,000 Russian Orthodox churches were active. But in 1959 Nikita Khrushchev initiated a campaign against the Russian Orthodox Church, forcing about 12,000 churches to close. By 1985, there were fewer than 7,000 active churches. 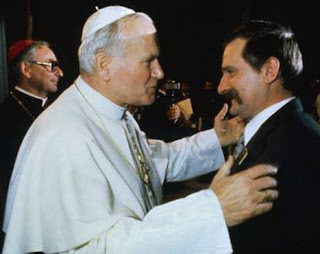 However, in Poland the election of Pope John Paul II helped to stimulate a movement that grew with the Gdansk shipyard strike and the rise of Solidarity. The Churches in East Germany were active in weekly protests, especially in Leipzig and through the ‘Swords into Ploughshares’ movement before the fall of the Berlin Wall in 1989. The Russian Church was assured of a new freedom when the Soviet Union was dissolved in 1991. Later, many parts of China became more tolerant of religious expressions, so that today it is said there are more Church members in China than there are members of the Chinese Communist Party. 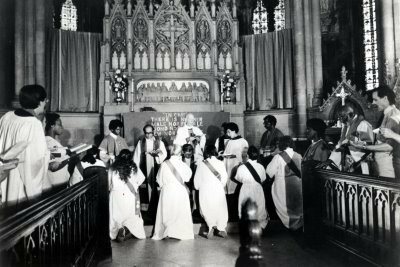 The ordination of women predates the emergence of feminist theology in the 20th century. The first three women priests ordained in the Anglican Communion were in the Diocese of Hong Kong and Macao: Li Tim-Oi in 1944 and Jane Hwang and Joyce Bennett in 1971. In 1974, three Episcopal Church bishops in the US ordained 11 women as priests in an “irregular” ceremony and their ordinations were approved eventually in 1976. The first Anglican woman to be ordained a bishop was Barbara Harris (1989). Pope John Paul II issue two documents reaffirming Roman Catholic teaching on women’s ordination: Mulieris Dignitatem (1988) and Ordinatio Sacerdotalis (1994). 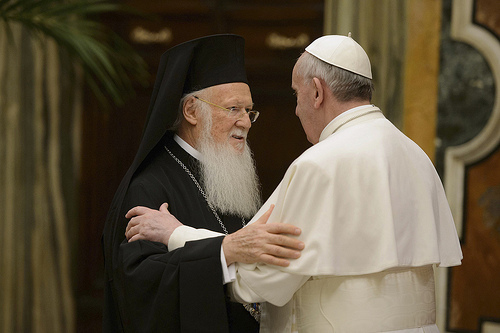 Although there has been progress in seeking to reconcile the schism between the Roman Catholic Church and Eastern Orthodox churches., concerns over papal primacy and the independence of the smaller Orthodox churches has blocked any hopes of a resolution. Some of the most difficult questions that remain in areas including: doctrine, (for example the Filioque clause), understandings of Scholasticism, asceticism and Hesychasm, the legacy of the Crusades and the Latin Empire, and the Uniate churches. We have seen the installation of a new Pope and a new Archbishop of Canterbury in recent years, almost at the same time. But what does the new millennium promise the Church and the churches? Nevertheless the large majority considered that they “belong” to a religious denomination. It may be too early to tell, but statistics appear, at the moment, to show that the “de-Christianisation” of Europe has slowly begun to swing in the opposite direction. There is renewal in some quarters of the Anglican churches, and among the Protestant churches in Continental Europe. 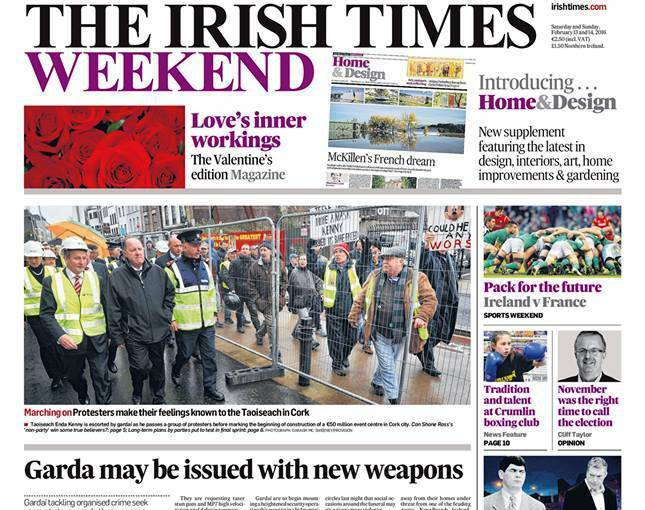 But is this enough to signal an initial step towards the reversal of the secularisation of Europe? In North America, South America and Australia, the other three continents where Christianity is the dominant professed religion, religious observance is much higher than in Europe. Throughout this module, we have been asking ourselves whether history shapes us or we shape history. History helps us to understand how we became who we are today as we face the future. And so, at the end of this module it is appropriate to ask: What is the future for the Church? (Revd Canon Professor) Patrick Comerford is Lecturer in Anglicanism, Liturgy and Church History, the Church of Ireland Theological Institute. This lecture on 13 February 2016 was part of the Church History Module on the Reader Course. Tomorrow is Saint Valentine’s Day [14 February 2016], and the theme of love is running through some of the services organised by this tutorial group in the chapel of the Church of Ireland Theological Institute during this residential weekend for part-time MTh students. As part of this exercise this morning, we are visiting the Carmelite Church in Whitefriar Street, Dublin, which will be full tomorrow with young couples seeking a blessing or hoping for a proposal. On Saint Valentine’s Day, thousands of locks will be secured to bridges and fences across Europe, and Juliet’s supposed balcony in Verona will be visited by countless tourists. But in the Carmelite Church in Whitefriar Street there will be special masses marking Saint Valentine’s Day, and the martyr’s reliquary will is taken from a special shrine in a side chapel and placed before the High Altar. Saint Valentine is a widely believed to have been a third century Roman martyr. He is commemorated on 14 February and since the High Middle Ages he has been associated with young love. And how did he ever end up in Dublin? Whitefriar Street Church is an inner city church and a landmark church in Dublin. Apart from Saint Valentine, it is also known to Dubliners for the shrine of Our Lady of Dublin. This is one of two Carmelite churches in inner-city Dublin run by the Carmelites: the other is Saint Teresa’s Church in Clarendon Street, near Grafton Street, and they represent two separate Carmelite traditions, the Order of Carmelites and the Order of Discalced Carmelites. The Carmelites also run Terenure College, and there are many Carmelite houses and Carmelite-run parishes throughout Ireland. Great figures in the Carmelite tradition include Saint Teresa of Avila (1515-1582), Saint John of the Cross (1542- 1591), Cardinal Charles Borromeo, Saint Thérèse of Lisieux (1873-1897), Edith Stein (Teresa Benedicta of the Cross), who died in Auschwitz in 1942, and Bishop Donal Lamont (1911-2003)of Umtali , an outspoken critic of apartheid in ‘Rhodesia’. The Carmelite Rule has found more limited use in the Anglican Communion than some others. The Community of the Sisters of the Love of God in Oxford is heavily influenced by Carmelite spirituality and follows elements of the Carmelite Rule, although their rule also has many other influences. The Episcopal Carmel of Saint Teresa in Maryland is a full expression of the Carmelite order and rule within Anglicanism, founded for that purpose with the support of the House of Bishops in the Episcopal Church. The sisters follow the Discalced Carmelite rule and therefore use the post-nominal initials OCD. In keeping with the Carmelite contemplative tradition, Whitefriar Street Church provides an oasis of prayerful silence in the midst of the bustling city. Unlike other religious orders, such as the Dominicans and the Franciscans who had individual founders in Saint Dominic and Saint Francis, the Carmelites have its origin in a group of hermits on Mount Carmel. They followed a common rule in Palestine in the 13th century, and many of them may have been pilgrims who came to the Holy Land and stayed on to live a life of prayer and silence. Jaqcues de Vitry, Bishop of Acre until 1228, suggested in 1216 that there had been monks on Mount Carmel from the beginning of the Frankish Conquest of Palestine in the 11th century, but evidence only goes back to the 13th century. But the claim was important to secure the survival of the Carmelites, because the Fourth Lateran Council in 1215 placed a ban on forming new Religious Orders. The hermits claimed they had approached Saint Albert, Patriarch of Jerusalem, around 1210 to ask him for a “formula of life” to guide them, and that Saint Albert gave them a Rule of Life. Their claims were accepted, and this rule of life, based on the Rule of Saint Augustine, received the approval of Pope Honorius in 1226. The motto of the Order is words of Elijah: “I am filled with zeal for the Lord, the God of Hosts” (I Kings 19: 10). Because of the changing fortunes of the Crusades, however, the Carmelites were soon forced to flee their homes and some founded monasteries in Cyprus and Sicily ca 1237, and in Pisa, Florence and Siena. Others went to France, including Marseilles and Paris, and by 1240 the Carmelites reached England. Within 60 years, the order grew to 150 houses in many countries, and they adopted the mendicant way of life like the Dominicans and Franciscans. In 1274, the Second Council of Lyons re-enforced Lateran IV and ruled that four mendicant orders were to be allowed: Dominicans, Franciscans, Augustinians and Carmelites. The first Carmelites arrived in Ireland five years later in 1279, when they founded a friary at Leighlinbridge, Co Carlow. In Dublin, Sir Robert Bagot, chief justice of the King’s Bench, built them a house in Saint Peter’s parish on the south side of the walled city. He had bought a portion of land in what is now Whitefriar Street from the Cistercian Abbey in Baltinglass, Co Wicklow. By 1500, there were 25 Carmelite monasteries in Ireland. A number of the friars in Ireland and England, including provincials, supported the reforms introduced during the reign of Henry VIII. At the Reformation, the Whitefriars’ priory in Dublin was surrendered on 3 August 1539. Perhaps the most notable and the most detested of the Carmelite friars in Ireland was John Bale (1495-1563), who was Bishop of Ossory for seven months in 1553. In the early 17th century, the Carmelites returned to Dublin, and had a house in Cook Street. By 1728, they had settled in Ashe Street, and they then moved to French Street (later Upper Mercer Street) and built a chapel nearby in Cuffe Lane in 1806. They opened their first school in Longford Street in 1822 and moved to Whitefriar Street in 1824. The Longford Street property was part of the original mediaeval Carmelite Priory of Whitefriars. The Prior, Father John Spratt, managed to acquire more of the old site and the community moved to Whitefriar Street in 1825. The foundation stone of the new church was laid in 1826, and the church was consecrated in 1827. In work that began in 1951, the entrance was moved from Whitefriar Street to Aungier Street, the High Altar was moved to the west end, and the interior was reversed, with a new entrance and its landmark Calvary facing out onto Aungier Street. Despite his popularity, despite all the cards, despite the roses and the chocolates, despite the rings and the proposals, we know little about Saint Valentine apart from his name and the tradition that he died a martyr’s death on 14 February on the Via Flaminia, north of Rome. We do not know even whether there was one Saint Valentine or two – or perhaps even three – saints with the same name, and many of the stories that have grown up around his life are mythical and unreliable. Because of these myths and legends, Saint Valentine was dropped from the Roman Catholic Calendar of Saints in the post-Vatican II revision in 1969. Nevertheless, the “Martyr Valentinus who died on 14 February on the Via Flaminia close to the Milvian Bridge in Rome” is still on the list of officially recognised saints. He may not feature in the calendar of the Church of Ireland, but this day is celebrated as Saint Valentine’s Day with a commemoration in Common Worship in the Church of England and in other churches in the Anglican Communion. In the Eastern Orthodox Church, Saint Valentine the Priest is celebrated on 6 July and the martyr Saint Valentine, Bishop of Interamna (present-day Terni) in Italy, is celebrated on 30 July. The name of Valentinus is not found in the earliest list of Roman martyrs in the year 354, but he is named in later lists in the second half of the fifth century and the first half of the sixth century. The feast of Saint Valentine on 14 February was first named in 496 by Pope Gelasius I, who included Saint Valentine among all those “whose names are justly reverenced among men, but whose acts are known only to God.” Perhaps this wording implies that even Pope Gelasius knew nothing about the life of this saint and martyr. Some sources speak of three saints named Valentine who are associated with today – a Roman priest and a Bishop of Interamna, who are both buried along the Via Flaminia outside Rome, at different distances from the city, and a third saint who was martyred on the same day with a number of companions in the Roman province of Africa. According to tradition in the Diocese of Terni, Bishop Valentine was born and lived in Interamna and was jailed and tortured in Rome on 14 February. However, different dates are given for the year of his martyrdom, including 269, 270 and 273. He was buried hastily in nearby cemetery and a few nights later his disciples came and brought him home. The Roman Martyrology lists only one Saint Valentine; who died a martyr’s death on the Via Flaminia. Popular legend says Valentine was a Roman priest who was martyred during the reign of Claudius II, “Claudius Gothicus.” He was arrested and imprisoned when he was caught marrying Christian couples and helping persecuted Christians. It is said Claudius took a liking to this prisoner. But when Valentinus tried to convert the Emperor, he was condemned him to death. He was beaten with clubs and stones; when that failed to kill him, he was beheaded outside the Flaminian Gate. Another legend says Saint Valentine was the Bishop of Terni in southern Umbria in central Italy. While Valentinus he was under house arrest, he was discussing his faith with Judge Asterius. The judge tested Valentinus by bringing his adopted blind daughter to him. If Valentinus succeeded in restoring the girl’s sight, Asterius would do anything he asked. Valentinus laid his hands on her eyes and the child’s vision was restored. Immediately humbled, the judge asked Valentinus what he should do. Valentinus replied that all the idols in the judge’s house should be broken, that the judge should fast for three days, and that he should then be baptised. Asterius obeyed, freed all his Christian prisoners and was baptised with all his family and 40 other people. However, Valentinus was soon arrested again nd was sent to the Prefect of Rome and then to the Emperor Claudius. Claudius too took a liking to Valentinus until he tried to convert the emperor. Claudius sternly refused to be converted and ordered that Valentinus should either renounce his faith or be beaten with clubs and beheaded. Valentinus refused and he was executed outside the Flaminian Gate on 14 February 269. Many churches throughout Europe are dedicated to Saint Valentine, but it seems none was dedicated to him in either England or Ireland. Until the 13th century, it was said the martyr’s relics were kept in Saint Valentine’s Basilica on the Via Flaminia, and they were then moved from there to Santa Prassede. The 18th century English antiquarian, Alban Butler, author of Butler’s Lives of the Saints, suggested Saint Valentine’s Day was created as an attempt to supersede the pagan mid-February holiday of Lupercalia in Rome, honouring Juno, queen of the Roman gods and goddesses. However, many of the legends about Saint Valentine can be traced only to 14th century England and the writings of Geoffrey Chaucer and his circle, when 14 February was already linked with romantic love. The flower-crowned skull of Saint Valentine is kept in the Basilica of Santa Maria in Cosmedin, Rome. When some relics were exhumed from the catacombs of Saint Hippolytus on the Via Tiburtina near Rome in 1836, they were identified with Saint Valentine. They were then placed in a casket, and brought in a procession to the high altar for a special Mass dedicated to young people and to people in love. When the Reliquary with Saint Valentine’s remains arrived in Dublin on 10 November 1836, they were brought in a solemn procession to the Carmelite Church in Whitefriar Street where they were met by Archbishop Murray. But other churches also claim to hold the relics of Saint Valentine, including a church in Roquemaure, in France, the Stephansdom or Saint Stephen’s Cathedral in Vienna, a church in Balzan, Malta, the Blessed John Duns Scotus Church in the Gorbals, Glasgow, and the Birmingham Oratory. After Father Spratt died, interest in the relics in Dublin faded and they were placed in storage. But during a major renovation of the church in the 1950s and the 1960s, they were given a new place in the church, and a special altar and shrine were built for them. A statue carved by Irene Broe shows Saint Valentine in the red vestments of a martyr and holding a crocus in his hand. The shrine is visited by thousands of couples throughout the year, especially on 14 February, when the reliquary is taken out from under the side-altar and is placed before the high altar in the church. There are special celebrations of the Eucharist, with a blessing of rings for couples who are about to be married. Although the story of Saint Valentine is inextricably linked with romantic young love, it is good to be reminded of love as we journey through Lent, which began last Wednesday [10 February 2016], and that our Lenten pilgrimage is a journey towards fully accepting the love of God offered to us through Christ on Good Friday and on Easter Day. (Revd Canon Professor) Patrick Comerford is Lecturer in Anglicanism and Liturgy, the Church of Ireland Theological Institute. These briefing notes were prepared for students in a tutorial group in advance of a visit to Saint Valentine’s Shrine in Whitefriar Street Church on 13 February 2016. Johnson’s diaries and letters reveal that fasting was one of his regular spiritual disciplines, especially during Lent, and he regretted that abstinence from lacticinia (milk foods), which included butter, cheese and eggs, was never strictly enforced in England because of the lack of oil and other products that could serve as substitutes. The severity of their fasts is equal to that of the Primitive Church. In Lent they never eat till after sunset; their fasts are the more severe because milk and butter are forbidden them, and no reason or necessity whatsoever can procure them a permission to eat meat, and their country affording no fish, they live only on roots or pulse. They fast all the Holy Week on bread and water; … thus Lent is observed throughout Abyssinia, men, women and children fasting with great exactness.